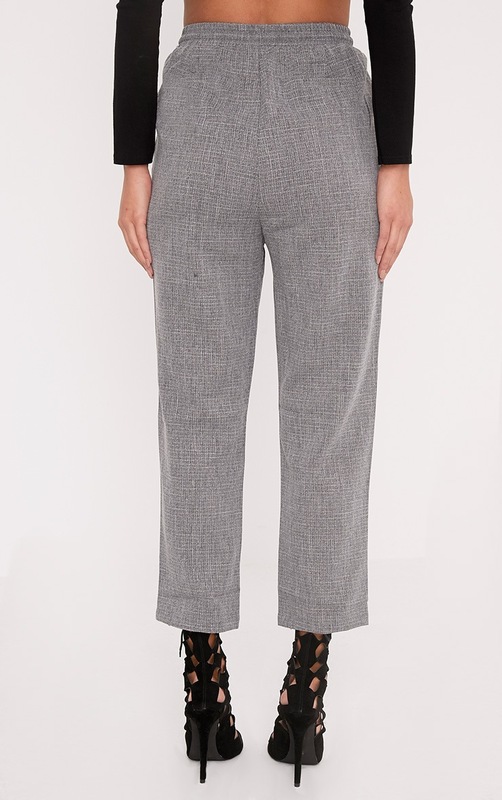 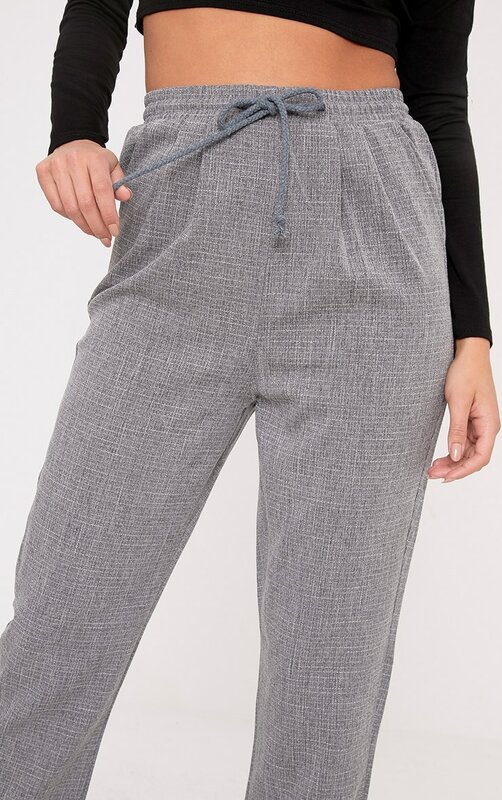 Channel slick, androgynous vibes in these tapered, drawstring waist trousers. 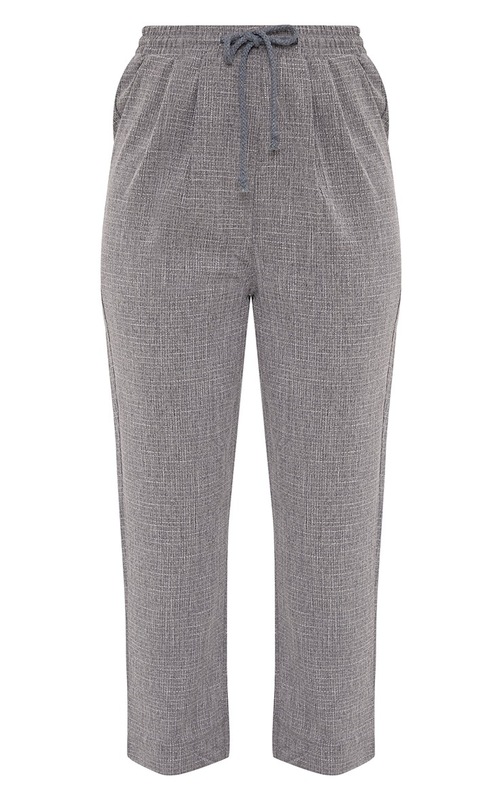 Featuring lightweight textured fabric and ankle grazer length, these trousers are a complete wardrobe must-have. 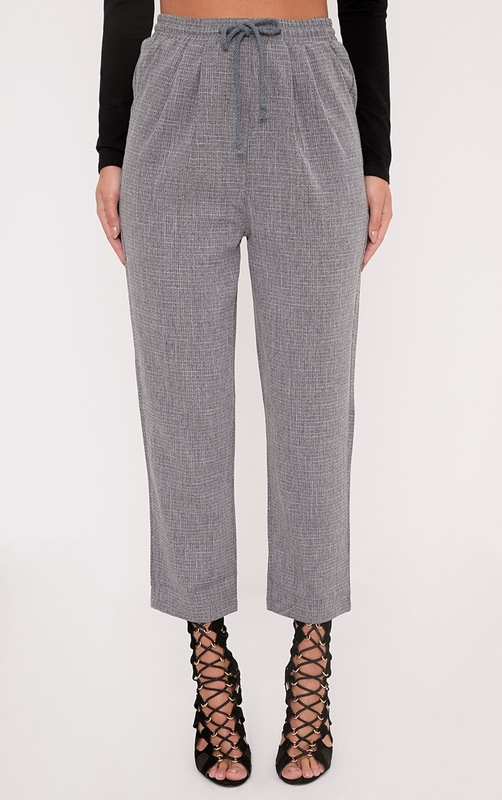 Pair with loafers and a slouchy, boyfriend tee to nail contemporary cool.